When you think of someone spending their winter vacation in the Caribbean, you may picture them relaxing on a white sand beach overlooking a turquoise sea. 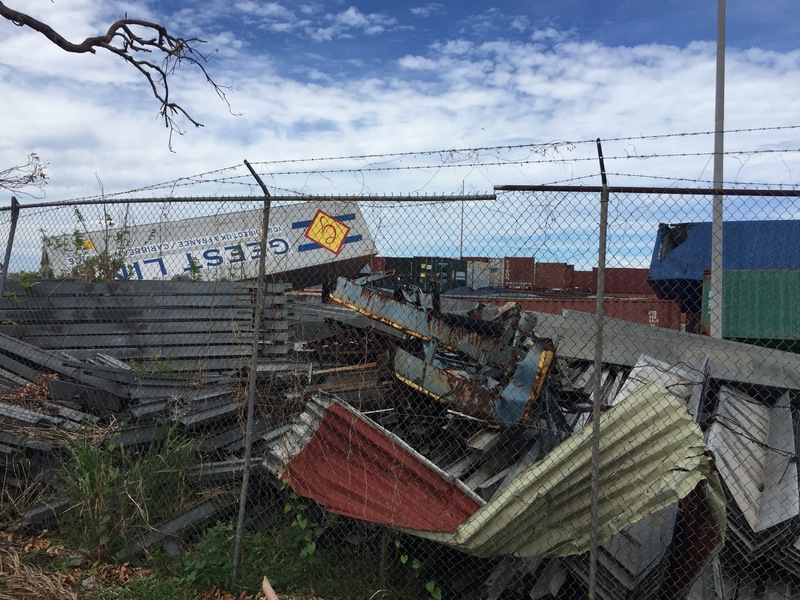 That was not the case for Faye McCullough, UC San Diego’s Executive Director of Payables, Tax and Travel within IPPS, who spent the last two weeks in December helping locals on the island of Dominica recover from Hurricane Maria. Dominica is known as the “Nature Island of the Caribbean” due to its lush mountains and varied flora and fauna. 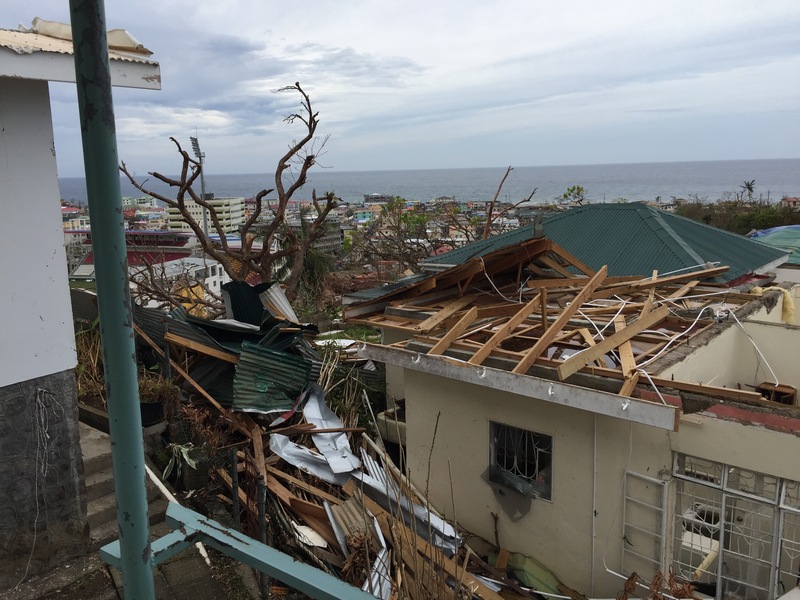 It was the first to bear the brunt of the Category 5 hurricane when it struck in September, leaving the island with no communications, electricity or running water, and heavily damaged points of entry. Faye and her boyfriend, Brian, had friends on the island who owned an eco-resort and contacted them about 12 hours before the hurricane hit. After they heard how bad the damage was, they were compelled to help. Brian owns a Mooney aircraft, a single-engine plane that he had just used to complete a solo flight round-the-world commemorating Amelia Earhart’s 1937 historic route. The best part of his plane was that it had extra fuel tanks so traveling for long periods of time needing many stops for fuel was not an issue. 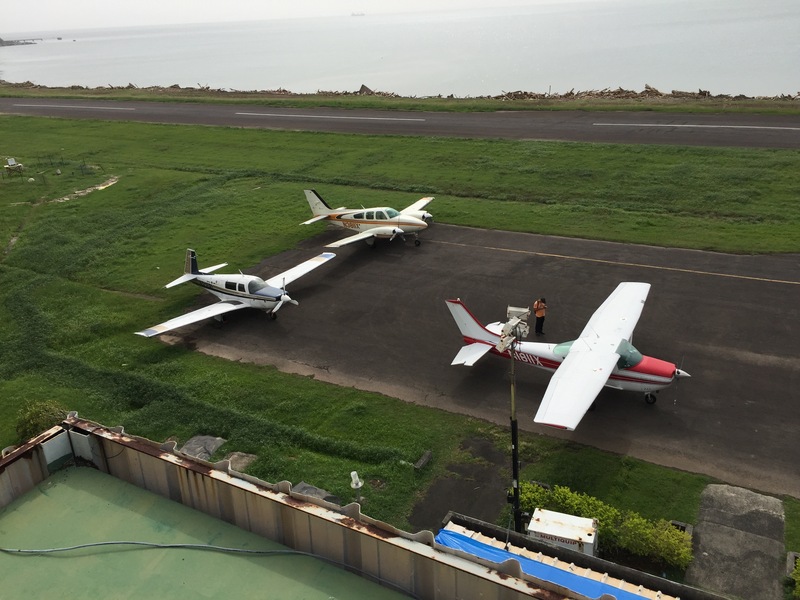 It was also small enough to land unlike larger planes who couldn’t get access to the island due to damaged runways. Brian first traveled there immediately after the hurricane helping deliver communications equipment, medical supplies, blood, food and water; and set up generators. “The island was totally leveled by Maria. I was not prepared for how barren it was. Everyone lost their roofs. Branches from trees had become like missiles, collapsing buildings,” said Brian of his first visit in September. The damage literally brought him to tears. Faye joined Brian when he want back in December. Even after a couple of months, the recovery was slow. Their first priority was getting food and purified water to the people. Faye also used her accounting background to assist locals with their finances. She helped them review their budgets, figure out how they could survive on what was available, and obtain domestic loans for food. Most importantly, she tried hard to build morale. “The people there are very friendly. They were all very busy looking for purpose but there were very little resources to get things done. For example, they wanted to fish, but they couldn’t because the fishing boats were gone. There was also some challenge getting relief supplies to the people that really needed it,” Faye recalled. 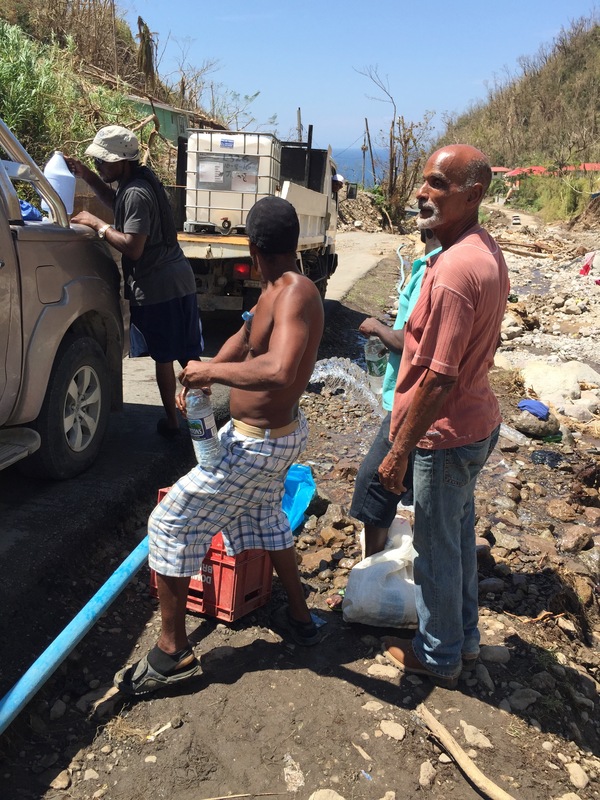 When they discovered relief supplies disappearing and reappearing on the black market, they worked with small local NGOs to set up their own distribution program, making sure that food, clothing and medical supplies got to those who might otherwise fall through the cracks. Unfortunately, many of the 70,000 people who inhabited the island have since left but there are signs of hope that their economy will come back. 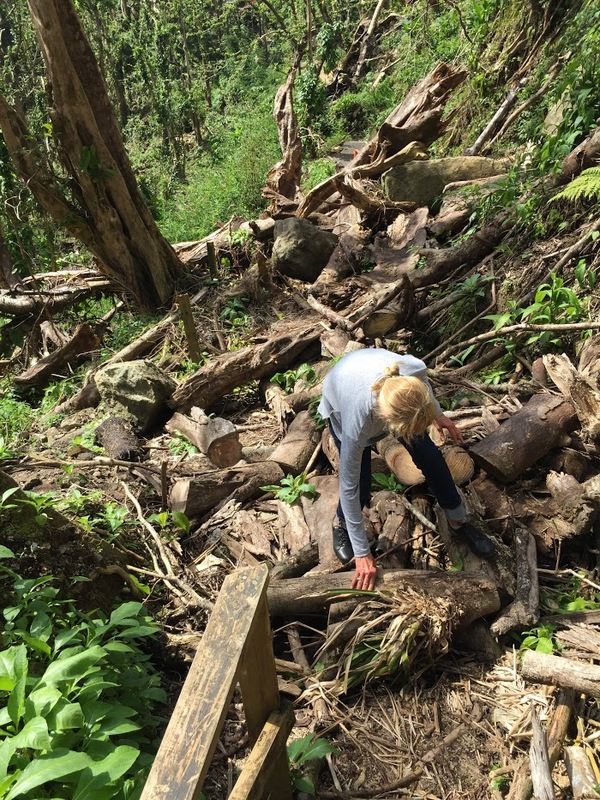 One of the local hotels is offering a volunteer package which provides discounted rates for helping clean up trails around the island. Perhaps an idea for your next vacation?